Mumbai, Oct 30 (IANS) A four-part crime documentary series navigating the 2008 Aarushi Talwar murder case, will find its way on the small screen on November 26. “The Talwars – Behind Closed Doors” is Star World’s first venture into investigative crime documentaries, read a statement. The 2008 case created ripples in society not only with the seriousness of the crime, but also its twists and turns. 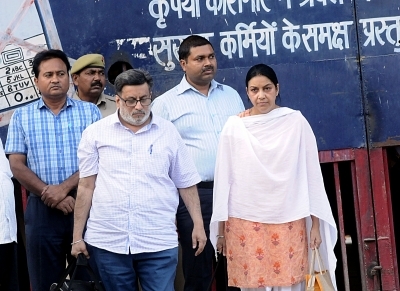 Aarushi’s dentist parents – Rajesh and Nupur Talwar – were blamed for killing their own daughter and domestic help Hemraj. The dentist couple was acquitted by the Allahabad High Court on October 12. They walked free from Dasna prison on October 16. The four-part original series unfolds the case file of the case. It will air on Star World and an online streaming app Hotstar from November 26. “‘The Talwars – Behind Closed Doors’ focuses on the destruction that one night of violence in May 2008 wreaked in the Talwar household. The series echoes the sentiment of the country on whether the pieces of the puzzle will ever fall in,” said spokesperson of Star India. The series has been produced in association with HBO Asia and created by team that comprises executive producer Sarah MacDonald, an acclaimed journalist and BAFTA winning documentary filmmaker. Also associated with the project is Miikka Leskinen, an award winning film editor, credited with a vast body of work across film, documentary and television, garnering nearly a hundred awards including a Primetime Emmy along with Oscar and BAFTA nominations.